With the 2017 Geneva International Motor Show in full swing, Nissan debuted its refreshed Qashqai crossover. A more angular design on the outside is matched by an updated interior that shares Nissan’s current design theme. A slew of new tech features and safety systems joins the two-row crossover as well, making the Qashqai more competitive in the segment. Now that you can read the Qashqai name without your mind’s voice stuttering over itself, we can move to Nissan’s changes for 2018. 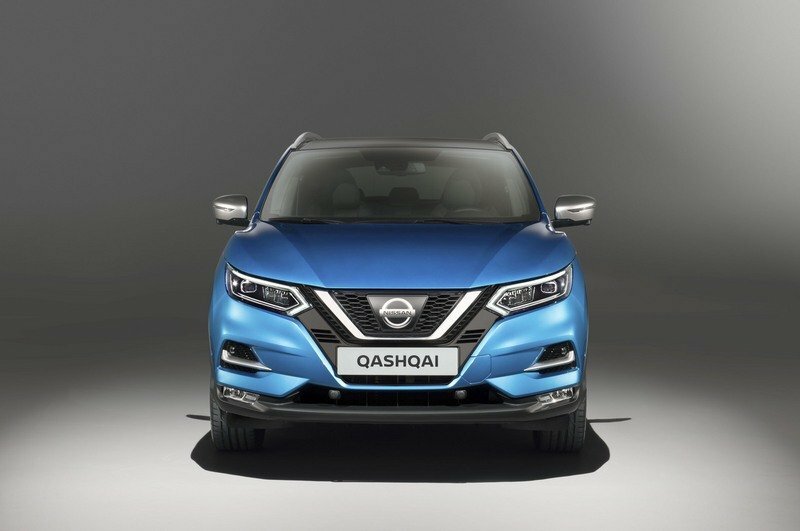 Outside, the Qashqai features a new front fascia with a more angular design and Nissan’s latest iterations of the V-motion grille and boomerang headlights. Rectangular fog lights and heavily stylized faux air inlets comprise the lower bumper. New wheel options span the range from 17 inches to 19 inches. Nissan says the wheels have even been “aerodynamically optimized” to improve fuel efficiency. 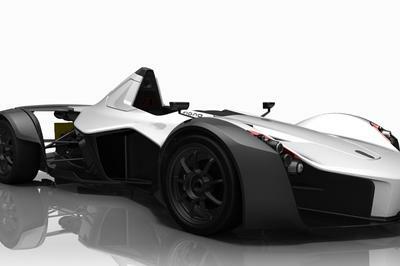 The wheels, combined with the updated sheet metal, are said to net a class-leading drag coefficient of 0.31. Inside, the Qashqai’s basic shape hasn’t changed. A new flat-bottom steering wheel replaces the old, uninspired three-spoke steering wheel. New Nappa leather with 3D quilting can be optioned in higher trims. 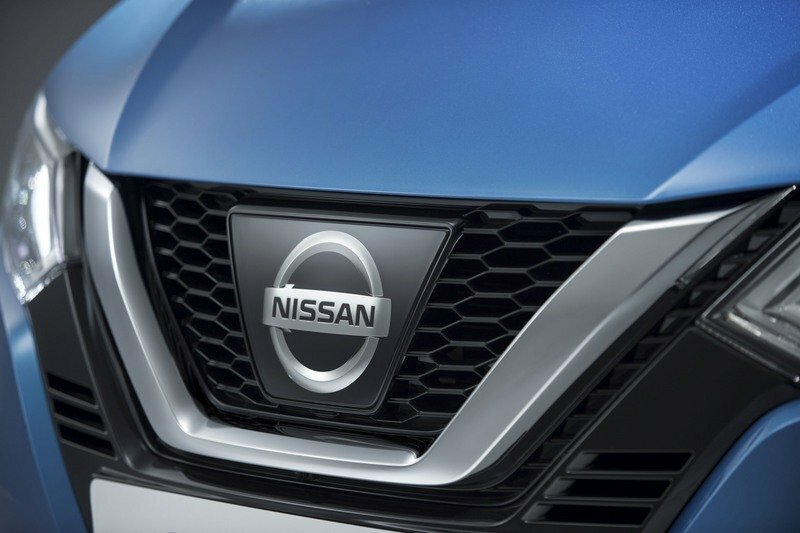 The NissanConnect infotainment system enjoys a new interface and an optional Bose seven-speaker sound system. Engineers also increased the thickness of the rear glass for a quieter cabin. 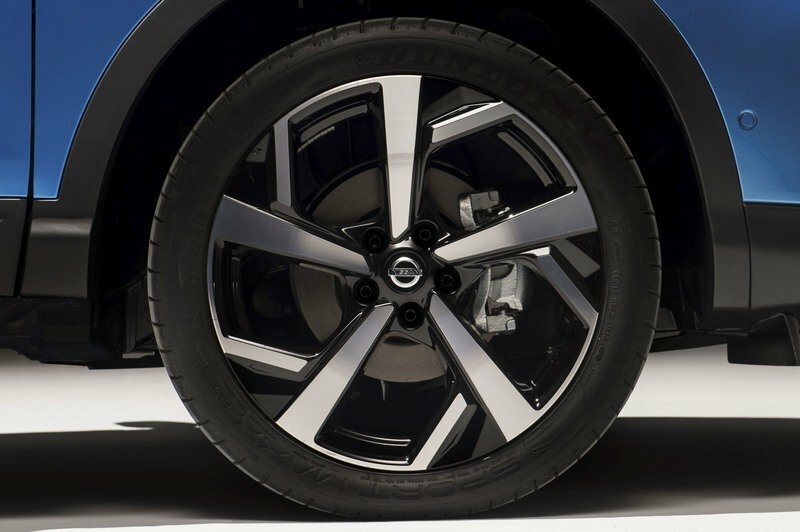 A slew of active safety systems come with the 2018 Qashqai, including a revised Intelligent Emergency Braking system, Rear Cross Traffic Alert, Traffic Sign Recognition, Driver Attention Alert, Intelligent Park Assist, Intelligent Around View Monitor, Blind Spot Warring, and Lane Departure Warning. Slight changes to the Qashqai’s greasy bits are present, too. Nissan says it reworked the suspension, damping, and steering systems for a more refined drive. The 1.5-liter four-cylinder turbodiesel continues unchanged. These updates definitely make a difference with the Qashqai. Between the new front fascia and new steering wheel, the little crossover looks far more upscale and modern. Nissan cites its “extensive customer insight” for the 2018 changes, which are likely to be a home run. Nissan has already sold roughly 2.3 million Qashqais since its introduction in 2007. That’s not a terrible record, by any means. These updates will only help the Qashqai stay competitive in the ever-popular crossover segment. 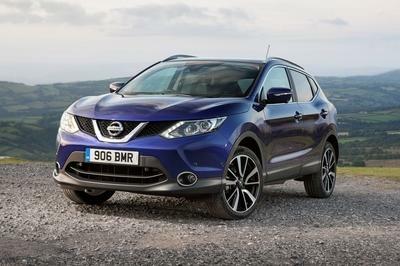 Today, Nissan unveiled the new Qashqai crossover, with significant enhancements of the car’s premium character. The upgrades focus on a contemporary new exterior design, higher levels of interior quality and improved driving performance. New Nissan Intelligent Mobility technologies have also been added, continuing Nissan’s ongoing journey towards zero emissions and zero fatalities. The new Qashqai will be available with ProPILOT autonomous drive capability. Controlling the steering, acceleration and braking in a single lane on highways, this will provide consumers with more control of their vehicle and a more confident drive, plus greater freedom when they want it, whether during heavy traffic congestion or high-speed cruising. The Qashqai’s enhanced premium appeal is most obvious in the cabin, where an improved layout, higher-quality materials and advanced technology deliver a highly attractive and functional interior for all occupants. The brand new range-topping Tekna+ grade includes new seats trimmed in high-quality soft nappa leather, with luxurious 3D quilting on the centre panels. The NissanConnect infotainment system, complete with DAB digital radio and satellite navigation, now features a smart new user interface. The headlamps have been revised with a new version of the ‘boomerang’ Daytime Running Light signature, adding to the new Qashqai’s premium appeal. The addition of adaptive front lighting improves night-time safety. Added to the Qashqai’s colour palette to boost its premium credentials are two vibrant new finishes. 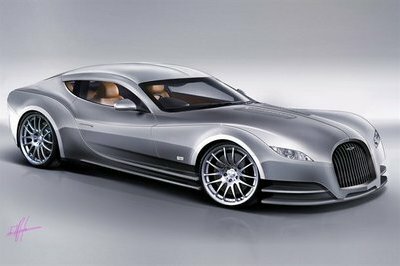 These include Vivid Blue, on the vehicle unveiled during Nissan’s Geneva press conference, and Chestnut Bronze. 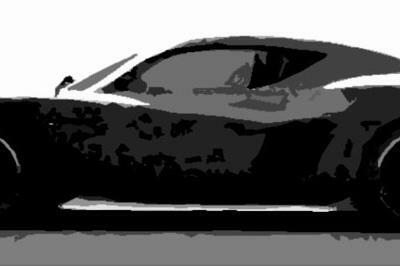 Improved use of absorption materials and increased rear glass thickness have led to a reduction in cabin noise from the road, engine and wind. Striking new 17, 18 and 19-inch alloy wheels are available, all aerodynamically optimised to maximise efficiency. Even with so many enhancements, the Qashqai’s aerodynamic performance has not been compromised. It retains its class-leading drag coefficient of 0.31, and continues as segment leader on C02 emissions, with only 99g/km from the 1.5-litre dCi 110 diesel. Such innovation contributes to low running costs for Qashqai drivers. Since its launch in 2007, the Qashqai has been at the heart of Nissan’s desire to democratise Intelligent Driving technology. With the new Qashqai that commitment to customers is extended even further. Intelligent Emergency Braking is being upgraded with Pedestrian Recognition. Rear Cross Traffic Alert, to mitigate the risk of low-speed impacts when reversing out of a parking space, is now available on Qashqai for the first time. The Qashqai continues to be offered with Traffic Sign Recognition, Driver Attention Alert, Intelligent Park Assist, Intelligent Around View Monitor, Blind Spot Warning and Lane Departure Warning. At the heart of the Qashqai’s appeal has always been its position as the ultimate urban crossover. It successfully blends the practicality and desirability of an SUV with the footprint, running costs and accessibility of a hatchback. The wide-ranging changes to the Qashqai are based on extensive customer insight and designed to reinforce its position as Europe’s best-selling crossover. 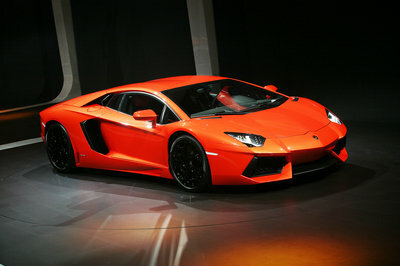 Approximately 2.3 million have been sold since the original version was launched in 2007. The enhancements make the Nissan Qashqai a stronger and more exciting partner for drivers, ensuring it is ready for its second decade of crossover leadership.